At long last, Omar Khadr has had a taste of freedom. Bail was granted on April 24 by an Alberta Court. 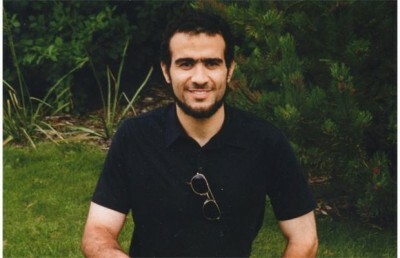 The release was granted pending the outcome of an appeal of the war crimes conviction levelled against Khadr in the US. Omar Khadr was captured in July 2002 after the compound at which the fifteen year old was residing engaged in a firefight with US Forces. He was accused of throwing the hand grenade which fatally wounded US Army combat medic Christopher Speer. The young Khadr was relocated to Guantanamo three months later where he was apparently tortured and interrogated. He would reside at that facility for a decade before being released based on a plea bargain, and repatriated to Canada. The Canadian government at every step of the way has attempted to block justice for Khadr. Unlike other Western countries, Canada did not negotiate for the repatriation of one of its nationals from the notorious prison facility. Most recently, Stephen Harper’s government launched an appeal of the decision to release Khadr on bail. Omar Khadr’s lawyer Dennis Edney appears in the first half hour of the program with facts to foil the Harper government’s character assassination attempt on his client and friend. Chossudovsky suggests that Guantanamo’s true function is not protection from evil terrorists. Guantanamo, and in fact the broader “War on Terrorism” is about manipulating public opinion into supporting a military agenda serving other diabolical aims. Professor Chossudovsky explains his position in the second half hour. Dennis Edney is recipient of the 2008 National Pro Bono Award and of the 2009 Human Rights Medal awarded by the Lieutenant Governor of British Columbia for work that “has helped to promote and further human rights”. Professor Michel Chossudovsky is an award-winning author, Professor of Economics (emeritus) at the University of Ottawa, Founder and Director of the Centre for Research on Globalization (CRG) and Editor of Global Research. He is the author of eleven books including The Globalization of Poverty and The New World Order (2003), America’s “War on Terrorism” (2005), and his most recent, The Globalization of War, America’s Long War against Humanity (2015).